7.1.19 Hello, Happy New Year and welcome back! We hope that you all had a good Christmas break and new year. 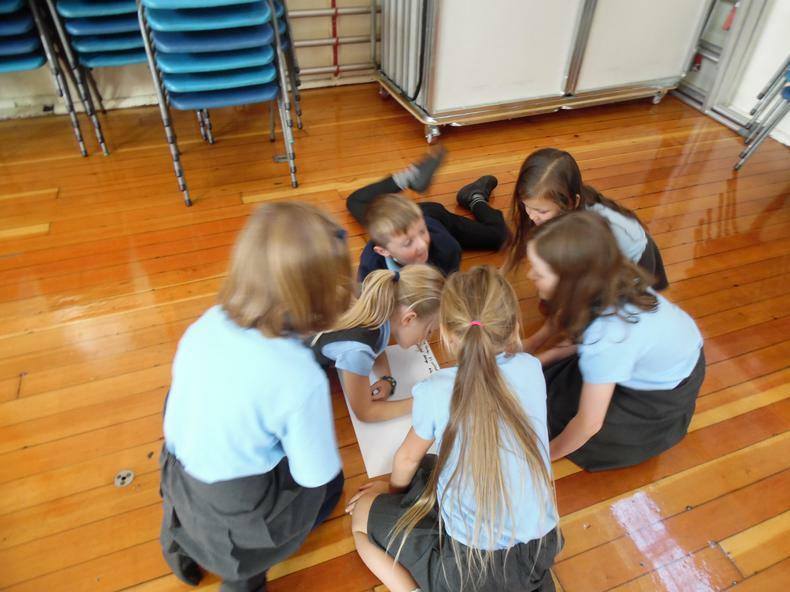 It has been lovely to see the children again this week and hear about all of their exciting news from the holiday. We have a very busy half term and will be learning about prayer in Christianity and Islam; human and animal skeletons and muscles and will begin to learn about food ... YUM! We will be welcoming back Miss Burrows and Miss Oakes (student teachers from Nottingham Trent University) on Monday 14th January, who will be teaching both 3AB and 3C over the next six weeks. 3AB will be starting PE on Mondays, while 3C continue to swim on Wednesdays until February half term. Both classes will have games and Spanish on alternate Thursdays and Tuesdays with Mr Ward. Please continue to read with your child and practice times tables with them. Homework will be handed out on Friday 18th January as Miss Burrows and Miss Oakes will be monitoring it this half term. Year 3 wrote a Christmas card to the Nottingham Panthers thanking them for ll of their help with ice skating. Panthers emailed back to say how lovely it was to receive a card from the children and wishing them a Merry Christmas and Happy New Year! They also sent us the picture below. Thank you to all of the parent and grandparent helpers who gave up their time to sew with us. We really appreciated your help! The children also decorated them in time for Christmas! Our theme at the end of this term is ‘Santa is coming to Nottingham’. As part of their Design and Technology, the children will be designing and making Christmas stockings using felt. They will have the option to use running stitch or blanket stitch to sew their stocking together. We will be sewing the stockings during the afternoon of Wednesday 12th December (1:15pm – 3:20pm, please come to reception). If any parents/carers, grandparents or other relatives are able to sew and are willing to help we would really appreciate it; please complete and return the form below to Miss Carter as soon as possible. This will enable us to allocate helpers evenly to each year 3 class. Year 3 were given their autumn 2 homework sheet today (9/11/18). If you would like another copy, please speak to your child's class teacher or print a copy from the homework section on the Year 3 page. Welcome back after the October half term! Hello everyone, we hope that you had a good half term holiday and are ready for our busiest half term in the run up to Christmas. 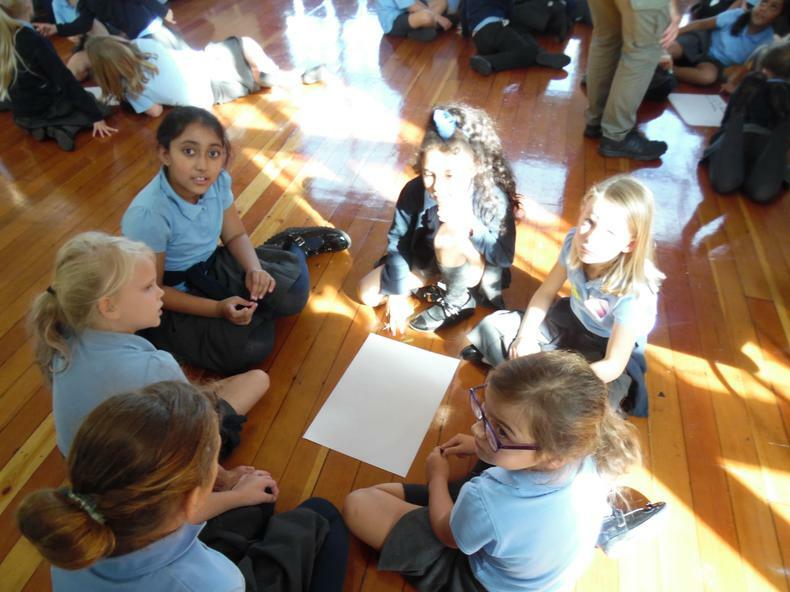 Year 3 have lots of exciting things to look forward to. We are writing stories and play scripts in English and learning about rocks, soils, volcanos and Nottingham in our theme work. We will be designing and sewing our own stockings (any parent or grandparent help with sewing would be great!!) and learning a Christmas song in music. We also have two school trips to look forward to; Skating with the Nottingham Panthers (5/12/18) and the Pantomime at Mansfield Palace Theatre (17/12/18). Thank you to all of the parents who volunteered to help on the trips, we will be sending replies out this week. 3C will be swimming at Southglade Leisure Centre on Wednesdays beginning Wednesday 7th November. They will be swimming every week with the exception of Weds 5th December (due to a trip). Their last swimming session will be Wednesday 13th February. If there are any questions about swimming, please feel free to contact me. Following the disappearance of Mr Rossington's swiss roll, Year 3 have been using their detective skills to find out what happened. Have a look at the CCTV footage from outside 3C on the evening in question. 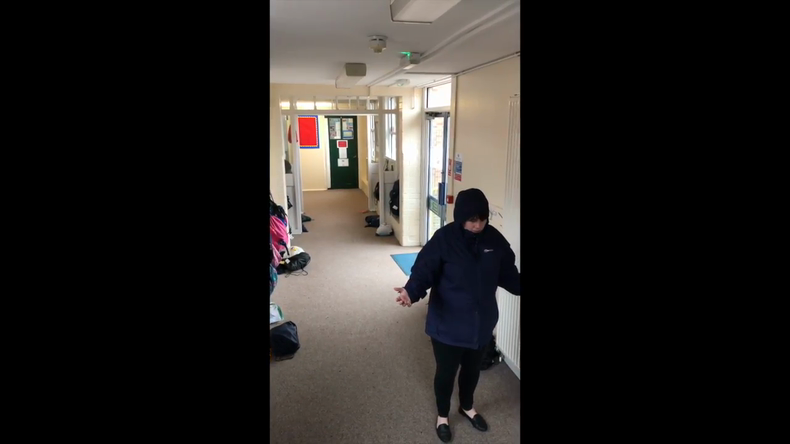 There were some very suspicious activities! 16th October 2018: We have a winner! Today, Year 3 were very lucky to have a 'show and tell' with Mr Rossington, the first winner of pilot 'Masterchef: The cakes' with his winning swiss roll. Celebrity judge, Greg Wallace was on hand to present him with the winner's spoon. Commiserations to the other competitors. This afternoon, we were transported back through time to the Mesolithic Stone Age (the middle part of the Stone Age). We had to behave just like the nomadic hunter and gatherers to build our very own tents. We gathered out materials (wood and stone) and set about building. Mrs Baker and Miss Carter were extremely impressed by all of our finished creations and were very impressed by our creativity. 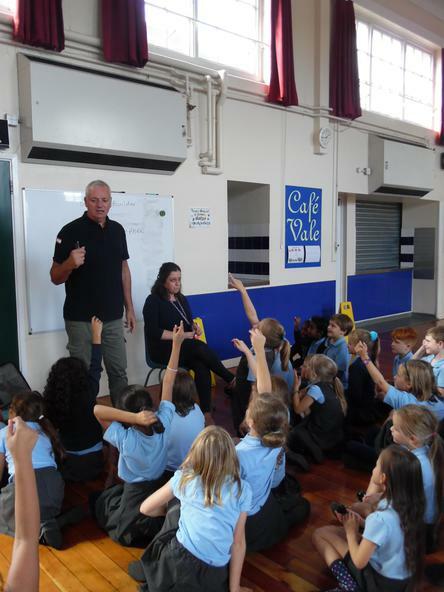 We have had a great start to Poetry Week with a visit from local poet, Gez Walsh. He dis a whole school assembly and was very funny. Our favourite poem was 'The Spot on my Bum!' He also embarrassed a few of the teachers with some interesting dancing and tongue twisters. 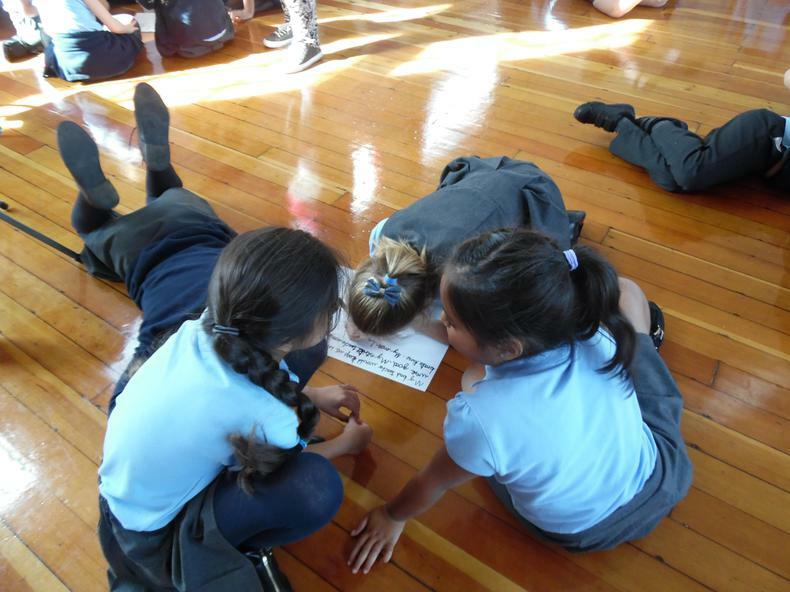 In the afternoon, we worked with him to write a short rhyming verse and played lots of description games. The Year 3 teachers will be holding a brief curriculum meeting in Miss Carter's classroom at 4pm on Friday 21st September. 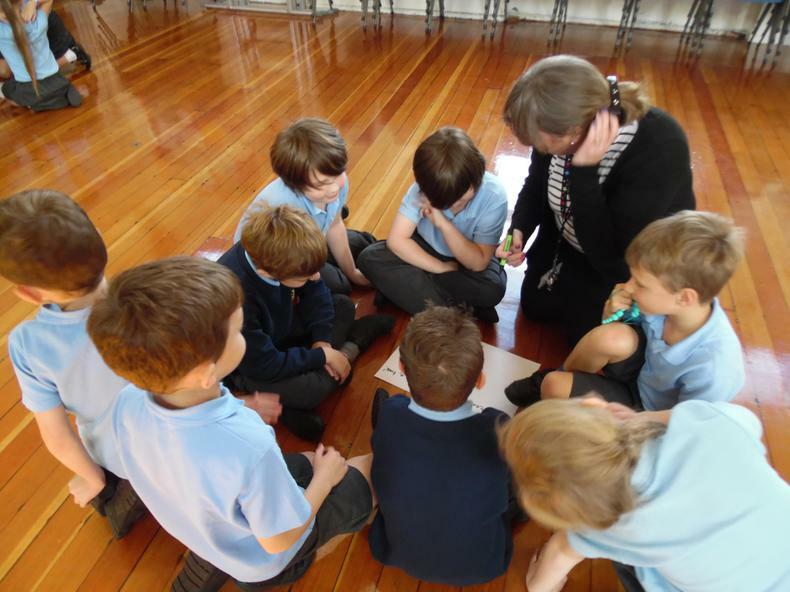 At the meeting, we will provide parents and carers with an overview of the Year 3 curriculum and provide you with other important information, such as homework expectations etc. It would be lovely to see as many parents/ carers as possible, however, if you are unable to attend, we can provide you with a paper copy of the information. 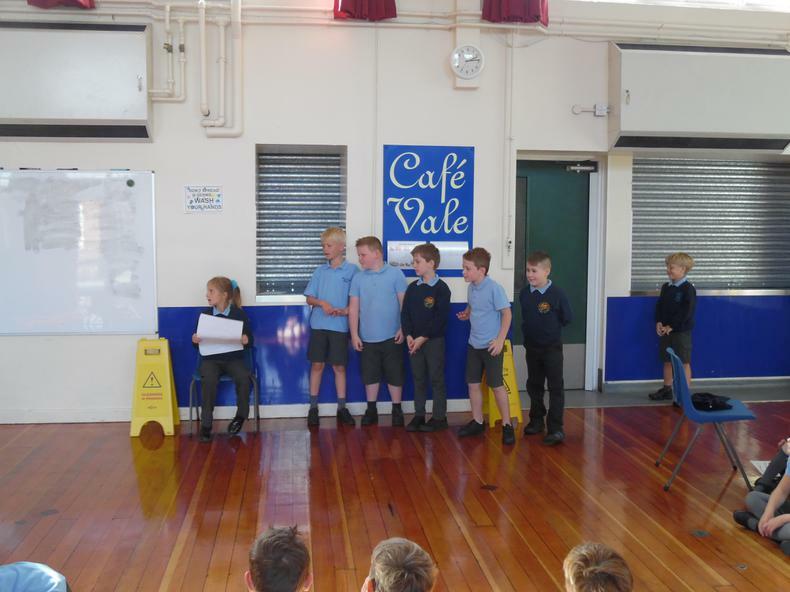 We are so pleased with how the children have settled into school life at Arno Vale. We have started our Stone Age theme and the children seem to be really enjoying learning about Paleolithic and Mesolithic life. In maths, we have focussed on place value work and in English we have begun to write a short film narrative based on The Flintstones. We are sure that they will rock!